I first met Tim Thompson last Spring when I performed in Sunnyvale. 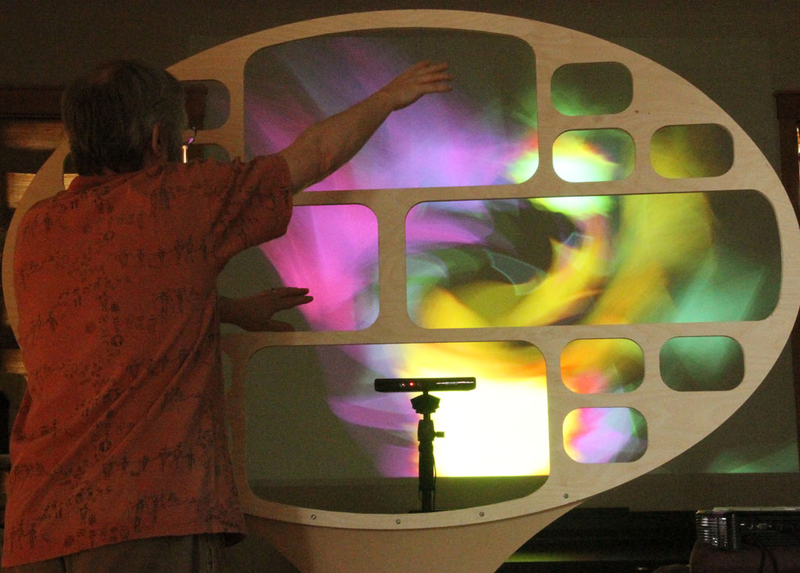 He invited me over for an An “Exclusive First Look at Tim Thompson's Kinect-Based Instrument: MultiMultiTouchTouch”. Since then we’ve kept in touch and he’s made incredible progress on this three-dimensional instrument so I thought I'd do an update post. I got to play an updated version of Space Palette when Tim and I were in Atlanta in February. It’s expressive enough to scale beyond casual play and Tim has become quite a virtuoso with it as can be seen in his latest performance at STEIM in Amsterdam below. I encourage you to visit http://spacepalette.com and http://timthompson.com/ to follow Tim’s progress.